Rats we all simply hate them because of many reasons. Their presence is simply annoying and brings a good number of health related complications so it is best to get rid of them as soon as you can. What are the obvious signs, which show that rats are present in your house? Do you hear strange scratching noises in walls or the case is that you can feel the presence of rats in your kitchen running during night? What we will you do when one day you wake up and find a rat sitting in front of you at your bed. Surely even the thought is good enough to give you a shock, but this can happen any time especially when you house is vulnerable to rats or other rodents because of this reason it is very much important to take effective steps for removal of rats from your property. Fortunately there are different strategies, which you can use for getting rid of rats permanently. Rats normally love to live inside homes and once they are preset in your property they will love to explore it for finding the most suitable location because of this reason chances are present that you will see them visiting your room and kitchen very often. You will be amazed to know that there can be a possibility that more than dozen entry points will be there for rats. If they have gained entry at the level of ground, then they will gain entry into attic using walls of house. Your kitchen can be their favorite as there is a lot of food supply present for them. Now the big question is that What if a rat got inside my house, bedroom, and kitchen? To be honest you have to be very much careful here because in most situations it will be your first and last chance for capturing the rat so instead of panicking try to capture the rat. 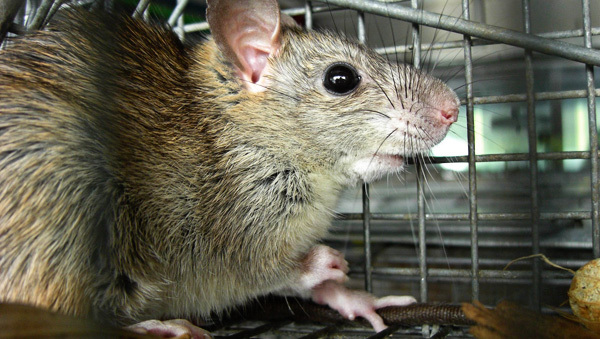 It is best that you should use traps, which can capture the rats alive without harming them. However, it is important that you must not depend upon repellents or other ultrasound devices as they can only waste your money and time. Therefore, it is better to use ways that are considered as affective and can yield long term results. You should always start by sealing the entry points so that access to rats can be denied. It is important to seal all the entry points and after that you should focus on removing rats using traps. Set the traps in your attic, kitchen as well as bedroom so that rats can be removed from all points in a convincing fashion. In case you are getting troubles, then call professionals. Go back to the How to get rid of rats home page.